Our automatic screw machine department uses National Acme Multiple Spindle Screw Machines to produce a wide variety of precision components for a diverse customer base. 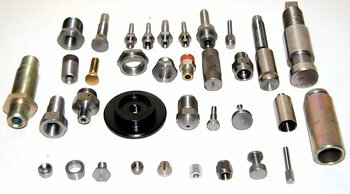 We can machine up to a 2″ diameter and up to 1-3/4″ hex. We have the capabilities to roll or cut threads, inside and outside. We can also rotary broach within the capacities of our specific tooling. We use our CNC vertical mills to support any secondary machining operations.